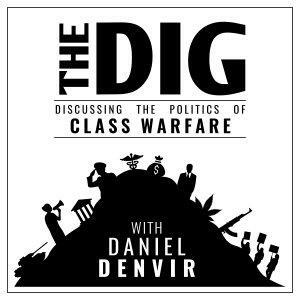 Historian and political theorist Timothy Mitchell joins Dan for the first of a two-part interview on his book Carbon Democracy: Political Power in the Age of Oil, published in 2011 by Verso. In this first episode, we talk about how the rise of coal made both industrial capitalism and newly powerful worker resistance possible; and how the shift to oil then facilitated the persistence of imperialism in a decolonizing world while thwarting worker organizing. On the next show, we'll discuss a lot more, including how oil companies and Western governments made autocratic governments and conservative Islamists key partners in creating the very global order that we now find in such profound crisis. Thanks to Verso Books. and The End of Policing by Alex S. Vitale versobooks.com/books/2426-the-end-of-policing and Police: A Field Guide by David Correia and Tyler Wall versobooks.com/books/2530-police And support this podcast with $ at patreon.com/TheDig, where you can also check out the first edition of our new weekly newsletter.